People don’t tend to associate France with ancient Roman temples, perfectly preserved Roman amphitheatres, or stupendous Roman aqueducts. And yet there’s a wealth of Roman ruins here in the Languedoc-Roussillon region – as we discovered today. 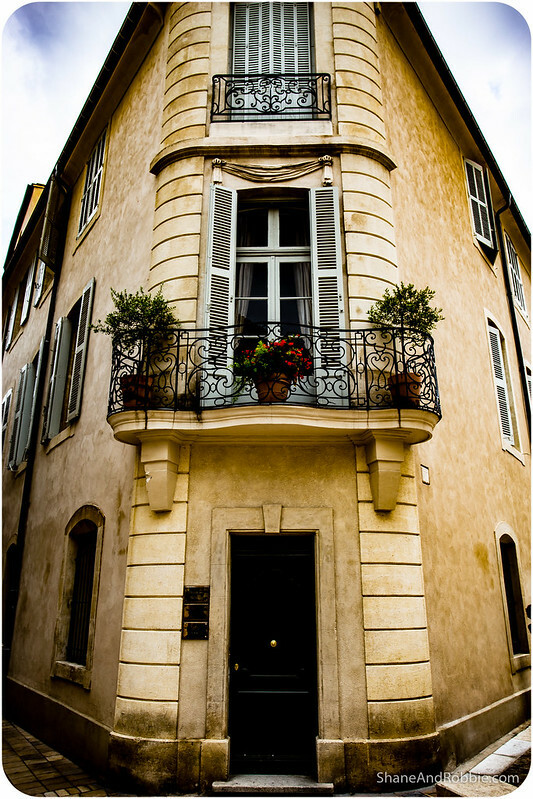 Languedoc-Roussillon is in the far South-Western corner of France, sandwiched between Provence and Spain*. Characterised by its dry flat landscape, olive groves, and vineyards, this was once a thriving part of the Roman empire. The Via Domitia once ran through here, connecting what is now Northern Italy to Spain. 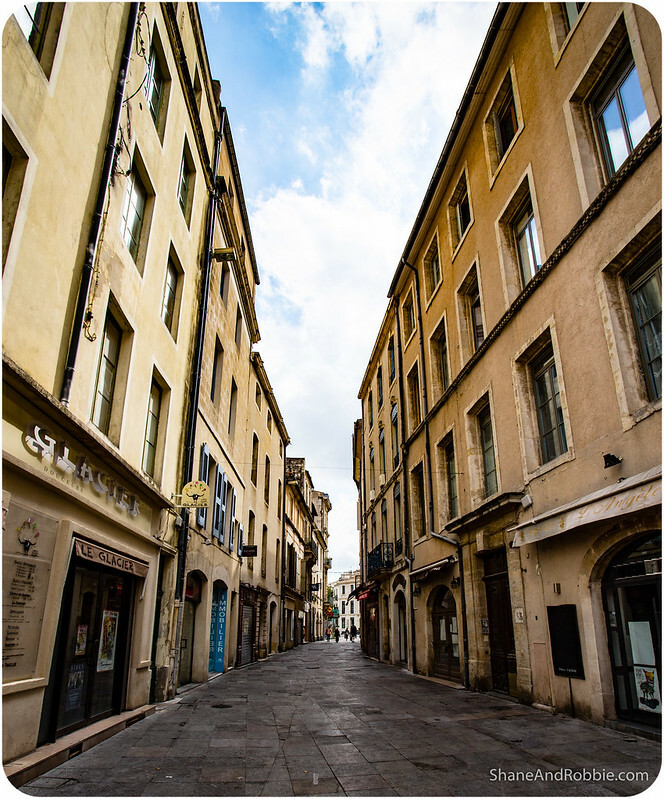 The road passed through numerous Roman towns that are today French – towns such as Narbonne, Montpellier, and Nîmes. We focussed our explorations of Roman France around Nîmes today, seeing the Nîmes Arena, Maison Carrée, and Pont du Gard. *We’re so close to the Spanish border here that a significant proportion of the locals hereabouts speak Catalan. 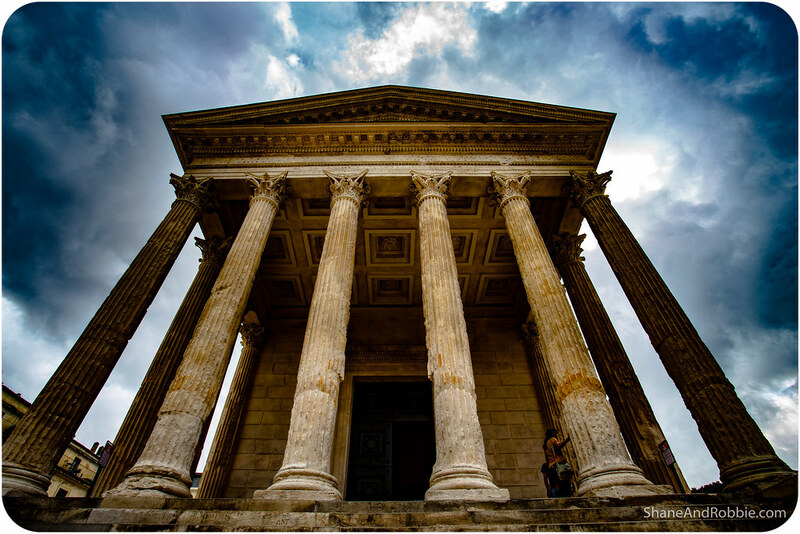 Originally known as Nemausus, Nîmes was a jewel in the Roman crown. 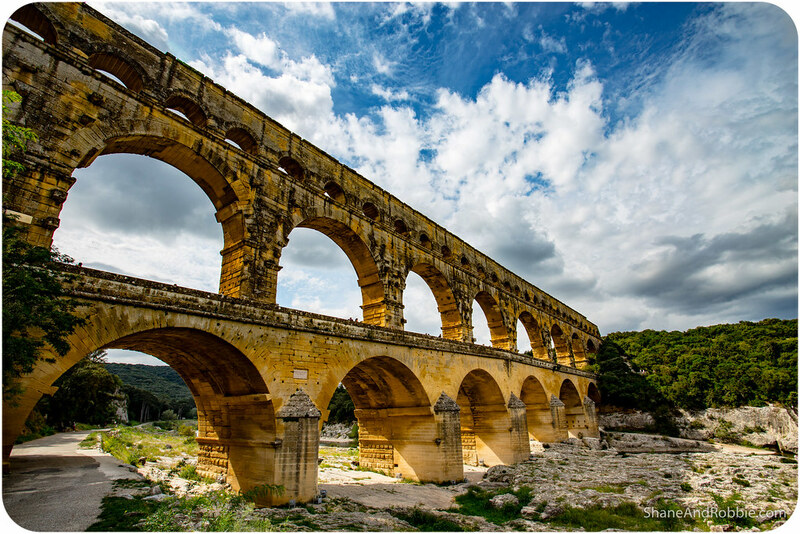 The town had a population of more than 60,000 in the 1st century AD, and had its drinking water supplied by a 50km-long system of canals and aqueducts (which included Pont du Gard). 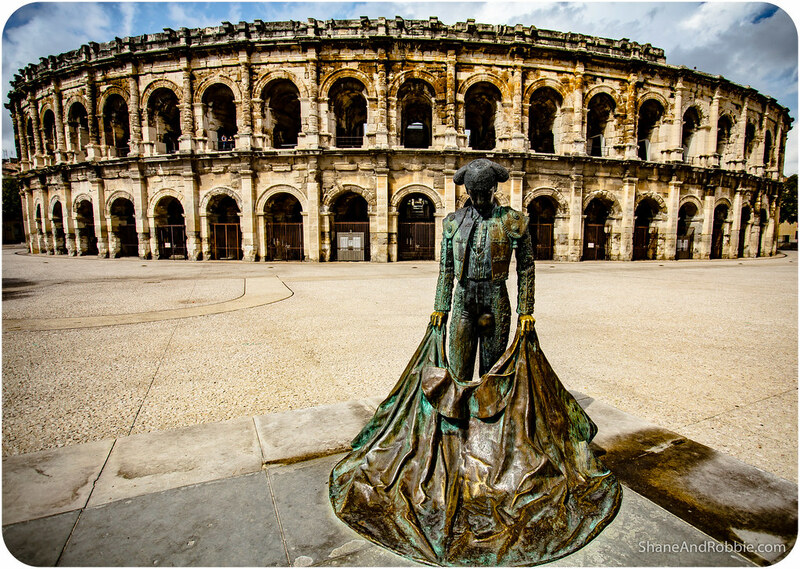 As befits a town of its size and grandeur, Nîmes had a large arena where citizens could go to watch gladiators fight and be entertained. 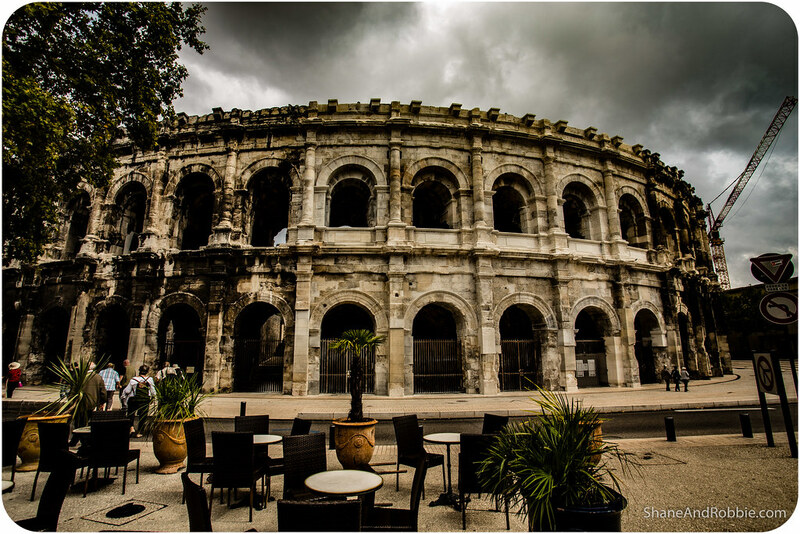 Inspired by the Colosseum in Rome, with 2 stories of vaulted arches, the Arena of Nîmes is one of the best preserved amphitheatres to be found anywhere in the world today. It was built in 70AD and has seating capacity for 20,000 people over 34 tiers and is still used today for pop concerts and sporting fixtures. We found out that they hold bull fights here too! Seems the sport is hugely popular here, on the border with Spain. 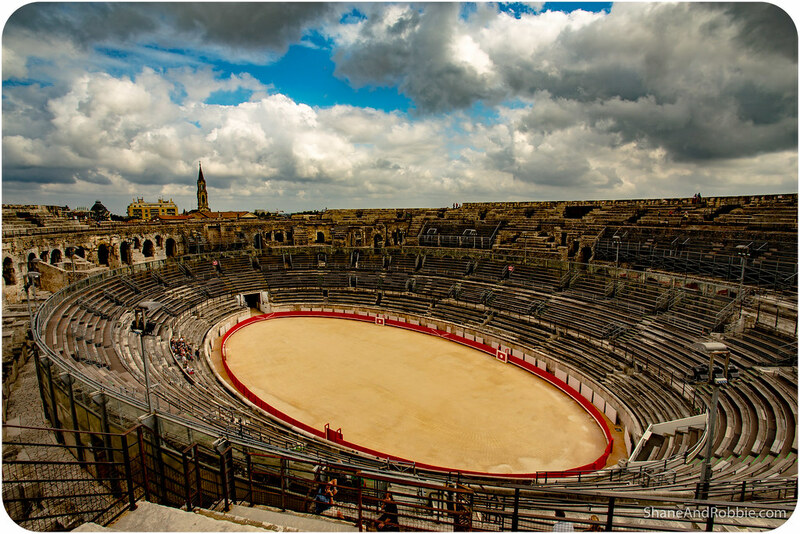 Nîmes is the capital of French bullfighting; every year the town still celebrates la corrida in the Roman Arena during the wildly exuberant Feria de Nîmes, a festival held over the Easter weekend. Interestingly enough it seems that after Rome fell the Arena was put to good use: it was bricked up and made into a fortress. 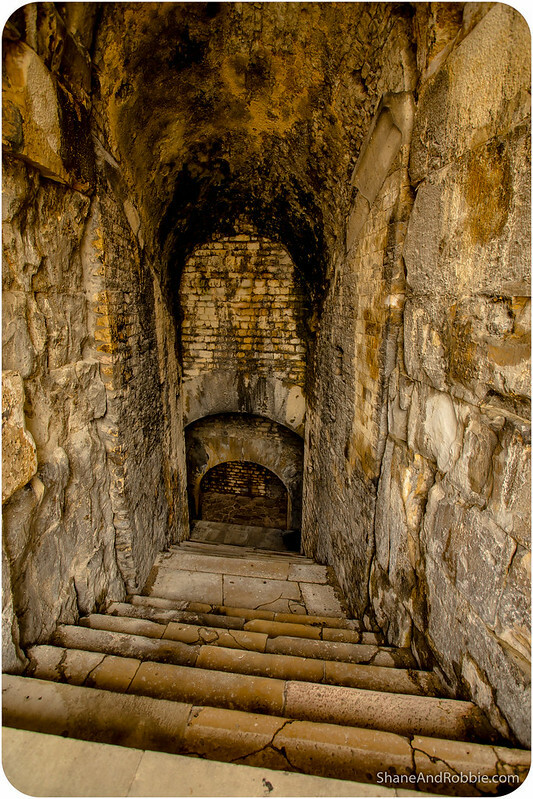 In the 13th century, after this region was incorporated into France, the amphitheatre became a gated community housing about 700 people — with streets, plumbing, even gardens on the upper tier. 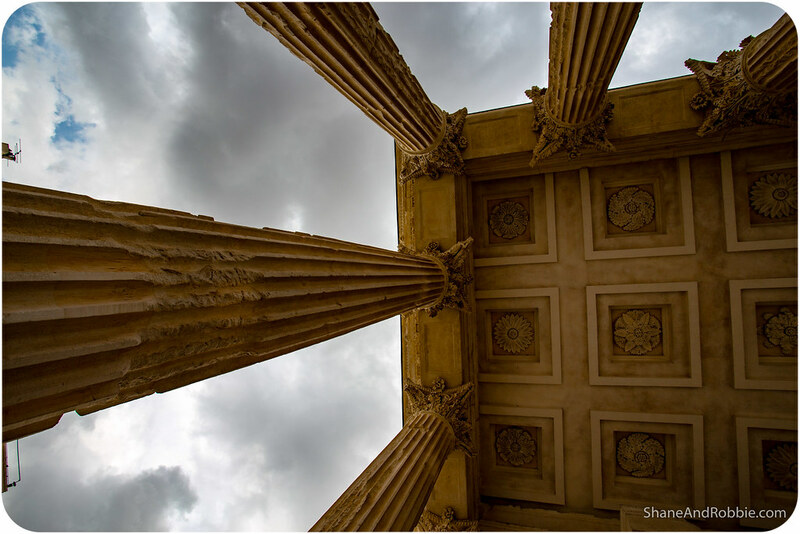 Only in 1809 did Napoleon decide make this a historic monument, letting the ancient grandeur of Roman France shine once again. We spent quite a while wandering through the Arena, listening to audioguide’s explanation of how the place was built, what contests were held here in centuries gone by, the conditions the gladiators lived and trained in, and how the structure is still being used today. 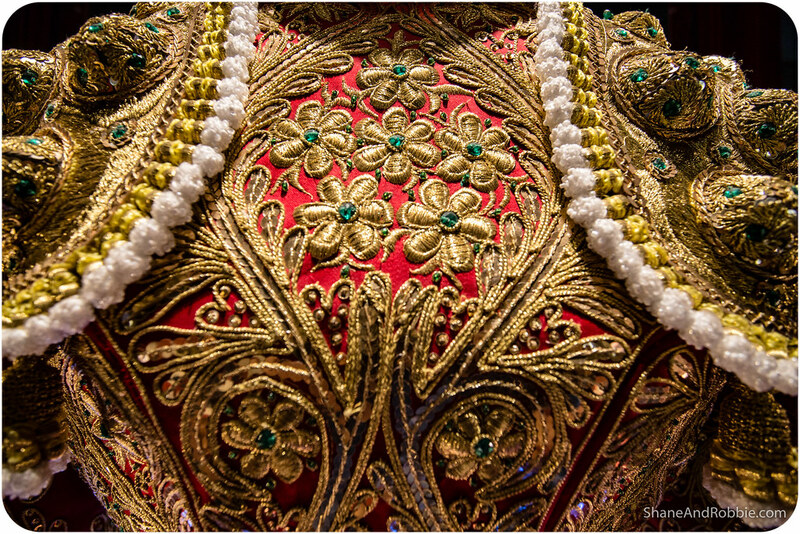 They even had an exhibit showcasing the costumes the matadors wear during bull fights. 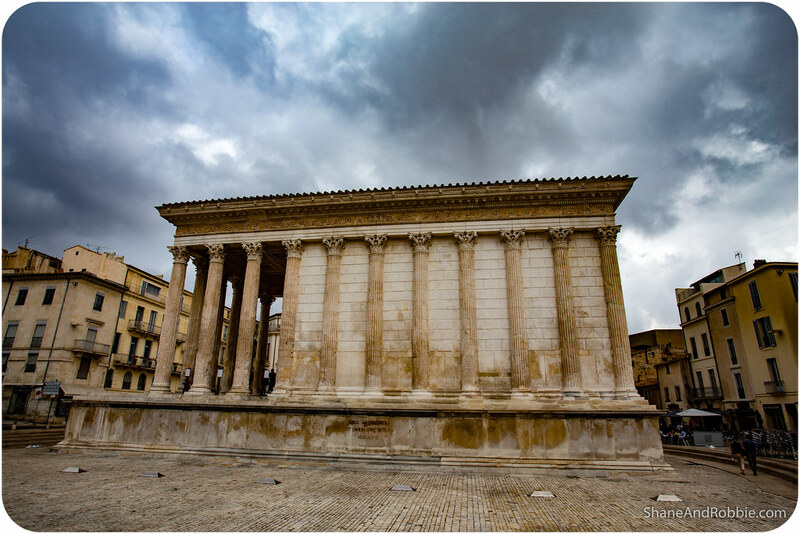 After the Arena de Nîmes we went to see the town’s ancient Roman temple called Maison Carrée (literally “Square House,” named before there was a word for rectangle). Dedicated to Emperor Augustus, this temple dates from the 4th century BC and is one of the best preserved anywhere in the Roman world. 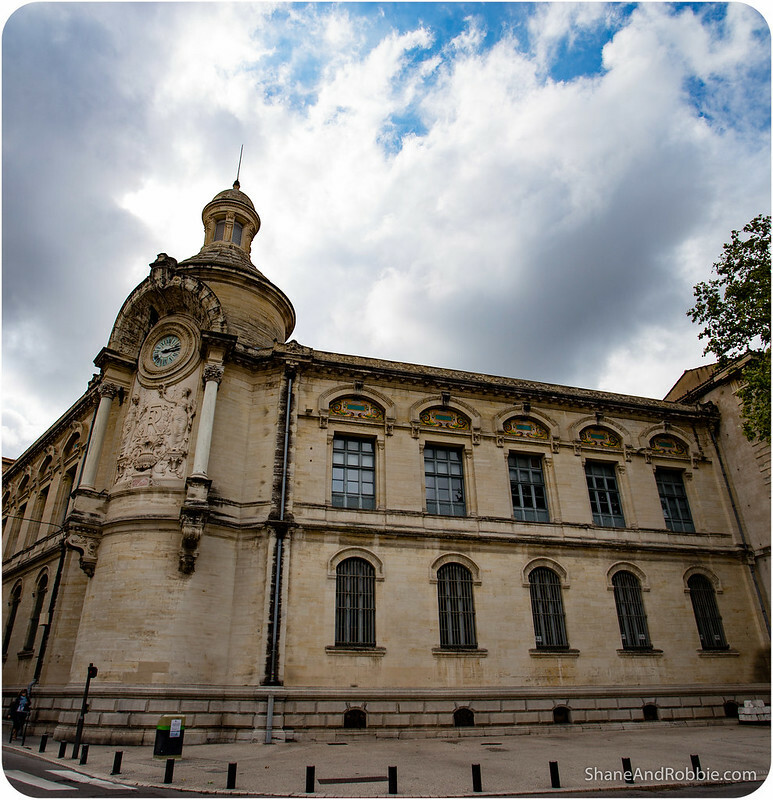 Used over the centuries as horse stables, city hall, museum, and as an archive, today it houses a small cinema where you can sit and watch a movie made to explain how the Roman citizens of Nîmes would have lived. 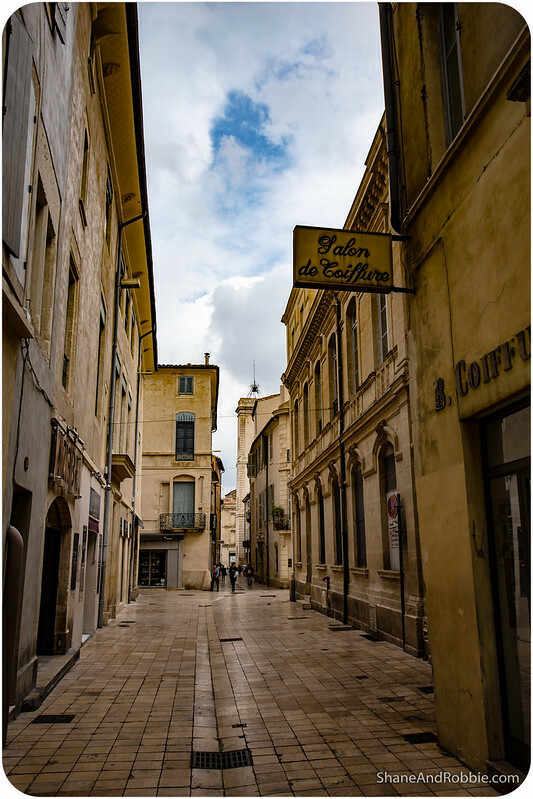 Besides the Arena and Maison Carrée, Nîmes also has a cute old town that we strolled through. It was very quiet around town, with the wind and changeable weather that had blown in overnight keeping most tourists away it seems. Everywhere around the town we saw the two figures from the Nîmes coat of arms: a crocodile and a palm tree. The emblem harks back to a time when Nîmes was a favourite retirement destination for Roman officers who had fought (and won) in Egypt (the crocodile symbolises Egypt, and the palm tree symbolises victory). All over town, little bronze croc-palm medallions shine on the sidewalks. 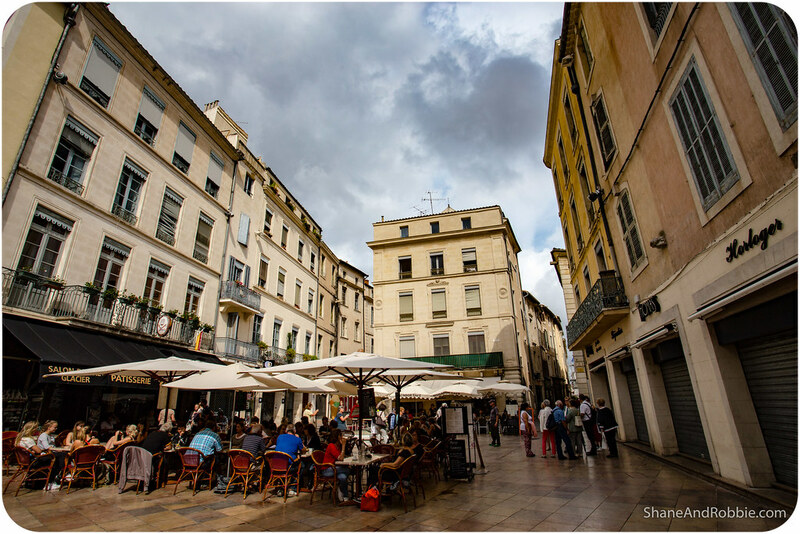 Nîmes’ other major claim to fame is that it was the birthplace of denim, named originally for its origin (i.e. 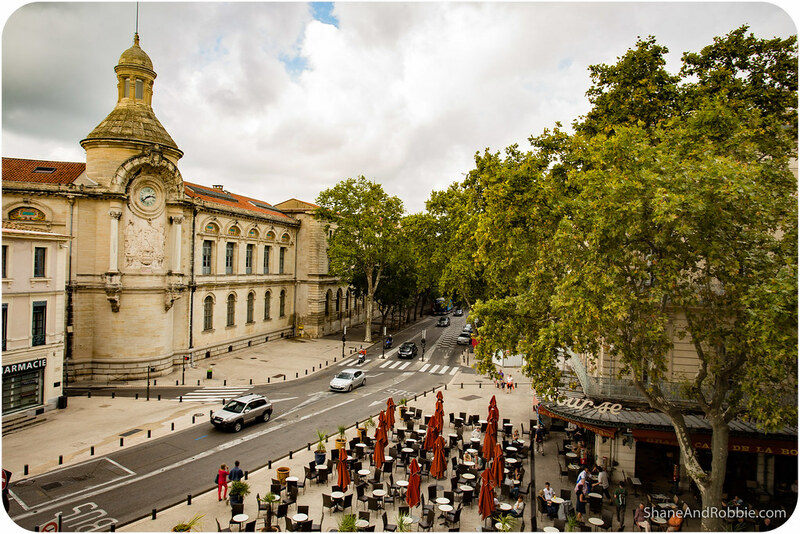 “de Nîmes” meaning “from Nîmes”). In the early 1900s the town’s merchants exported the cloth to the United States in order to make sails for ships, tarpaulins and workmen’s trousers. In 1870, a Bavarian immigrant by the name of Levi Strauss used this cloth to make trousers for the trailblazers opening up the Wild West. 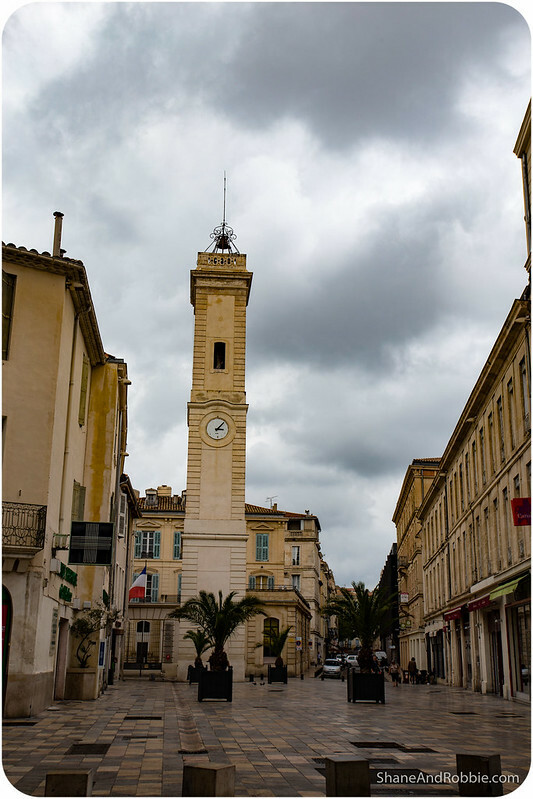 Made in Genoa (hence, the origin of the word “jeans”) of “de Nîmes” cloth, this is where one of the world’s best known garments was born. 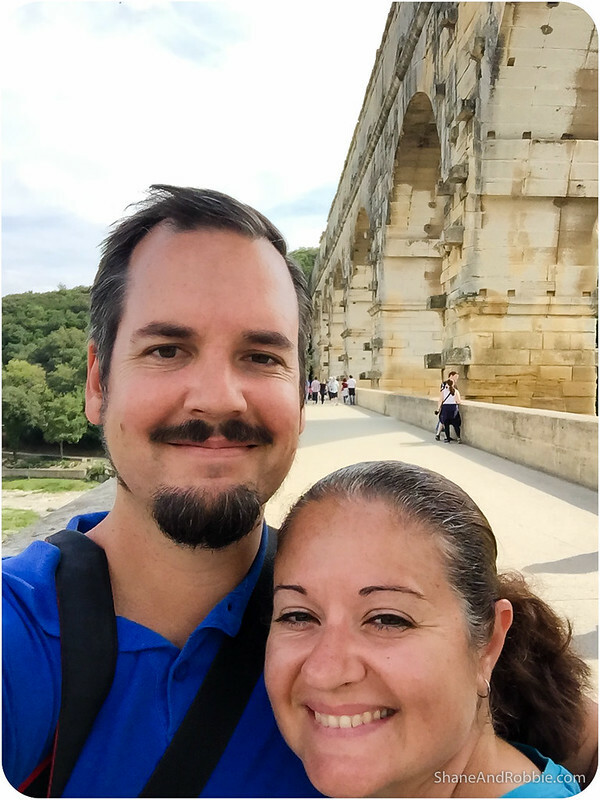 As anyone who has been in this part of the world will attest, no visit to Nîmes would be complete without a trip to the Pont du Gard. 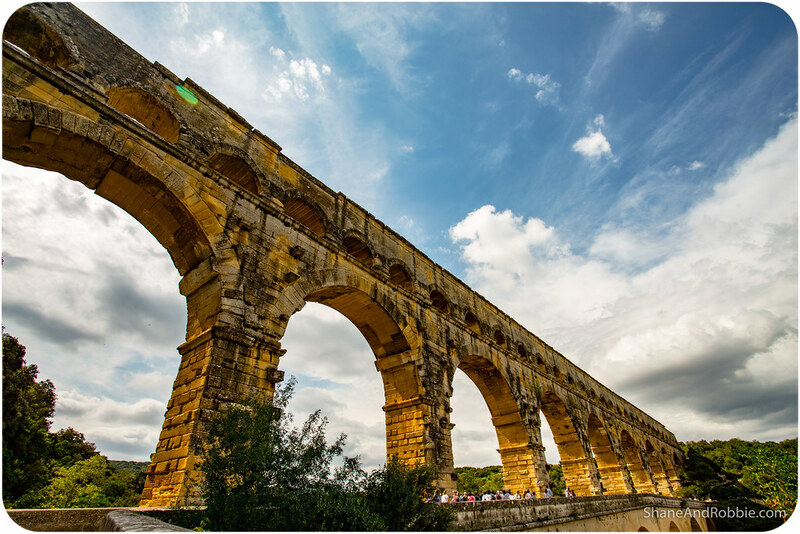 Situated about 20km or so outside of the city, this spectacular aqueduct was constructed during the 1st century AD to supply Nîmes with fresh water from the Eure River. Three tiers of arches span an incredible 275m across the Gardon River at a height of 49m. 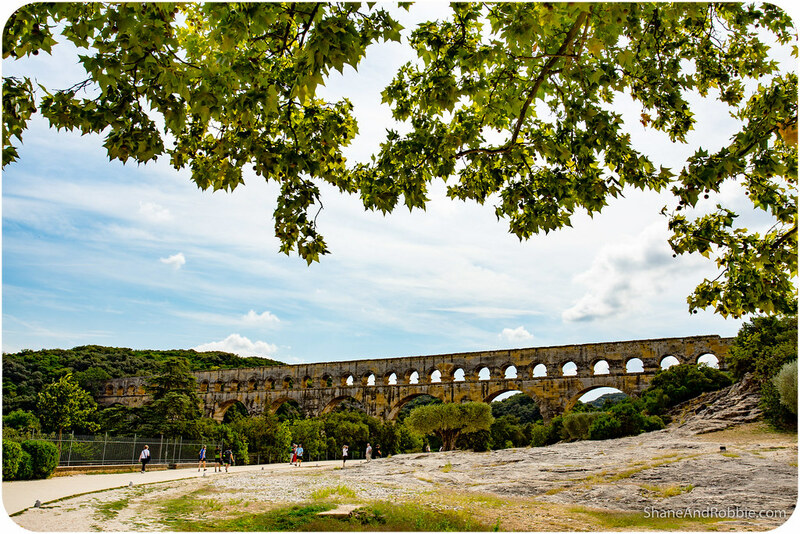 We caught a bus out to Pont du Gard and spent most of our afternoon at the site, marvelling at the sheer scale of the multi-tiered aqueduct. 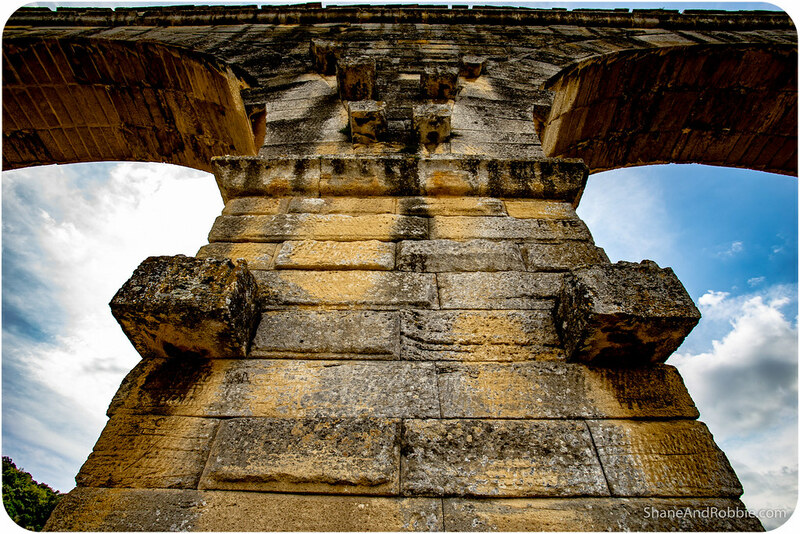 Both technically and aesthetically, Pont du Gard is a wonder. 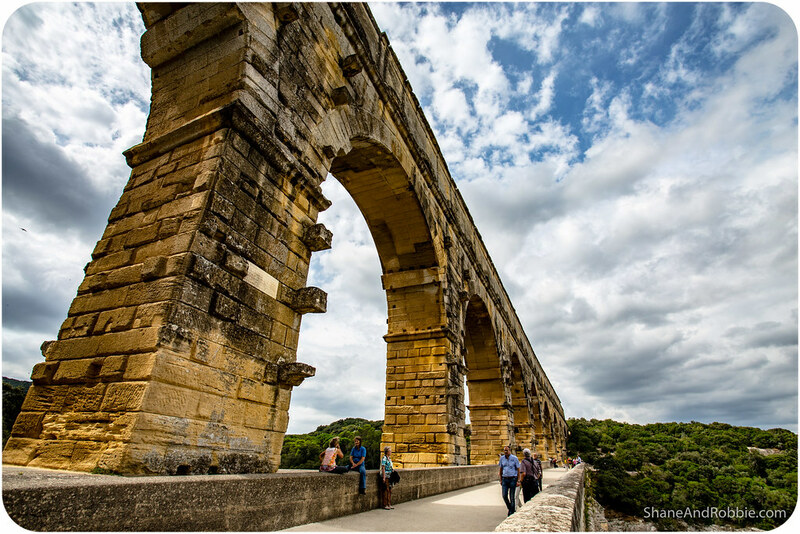 Pont du Gard is the highest of all elevated Roman and, along with the Aqueduct of Segovia, one of the best preserved. 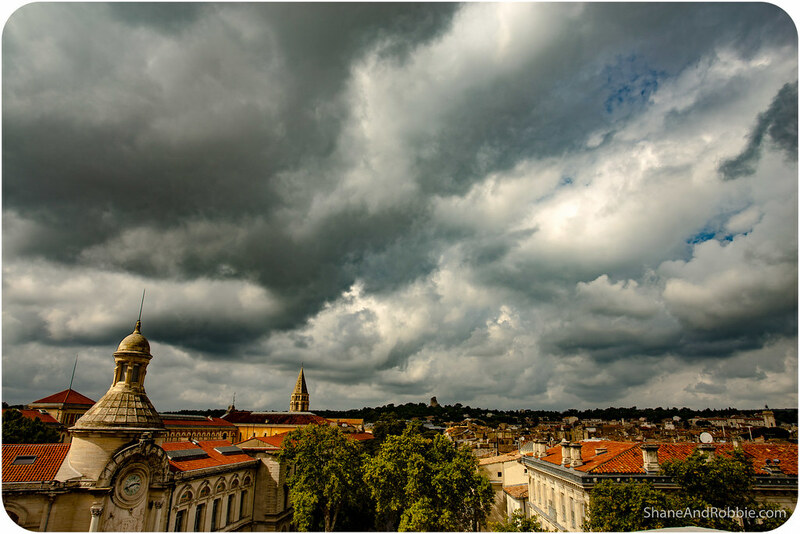 It was added to UNESCO’s list of World Heritage Sites in 1985 because of its historical importance. 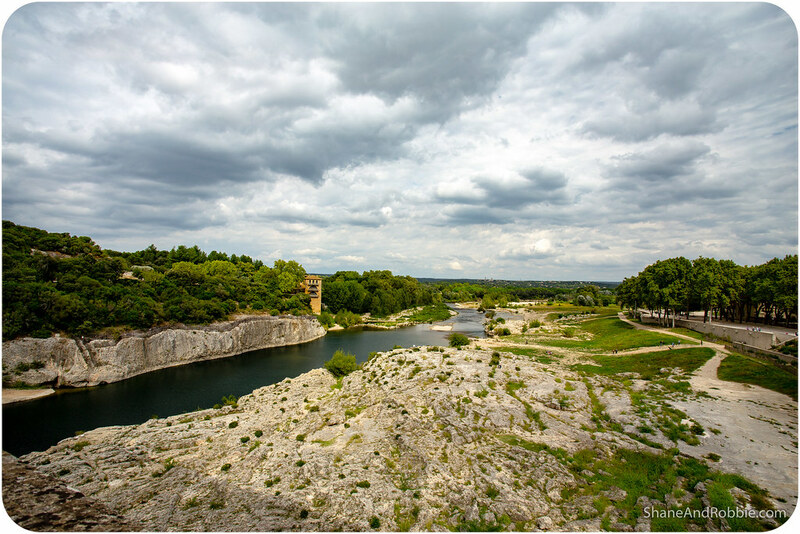 It used to carry water a distance of 50km, from a spring at Uzès to Nîmes. Due to the uneven terrain between these two points, the mostly underground aqueduct followed a long, winding route that called for a bridge across the gorge of the River Gardon. 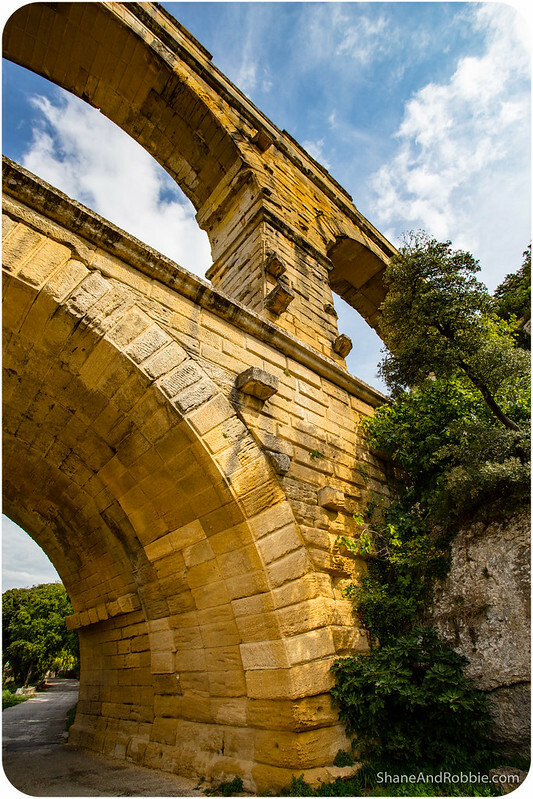 The Pont du Gard is the highest of all elevated Roman aqueducts, and has 3 tiers of arches, standing some 50m high. 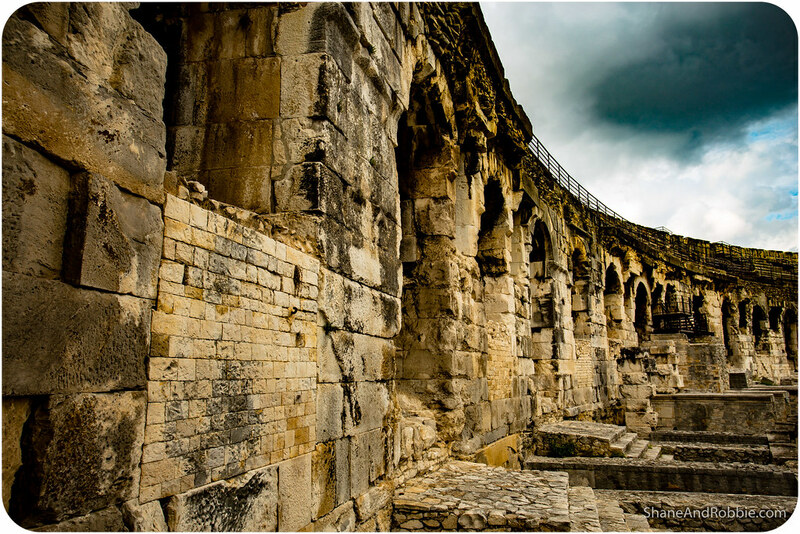 The aqueduct us estimated to have once carried an estimated 200,000L of water a day to the fountains, baths and homes of the citizens of Nîmes. 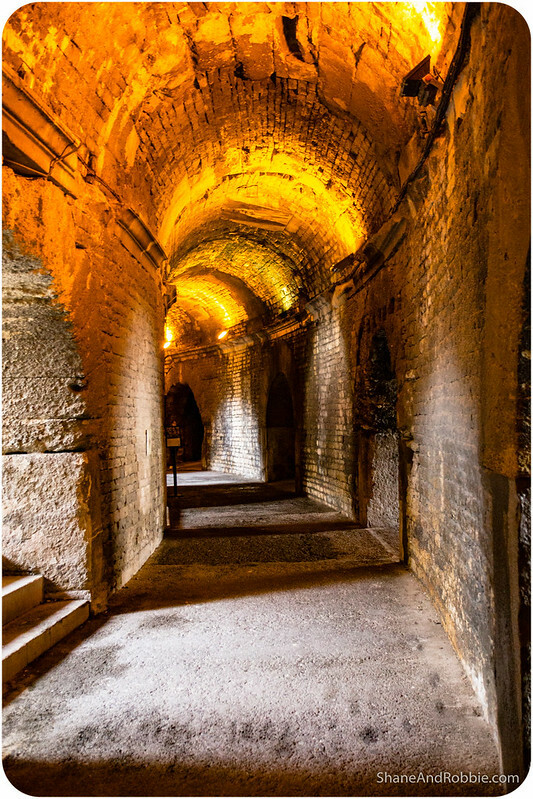 It continued to be used until the 6th century; lack of maintenance after that meant that it became increasingly clogged by mineral deposits and debris that eventually choked off the flow of water. 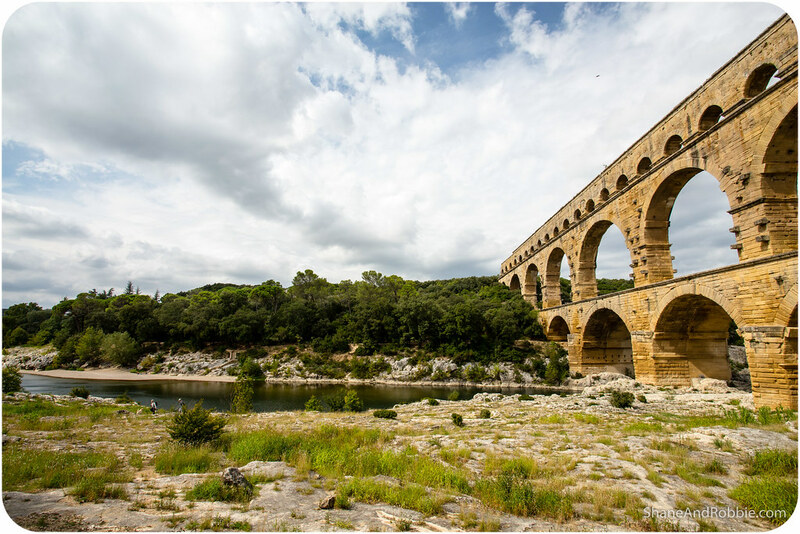 Despite no longer being used as an aqueduct Pont du Gard remained largely intact due its secondary importance as a toll bridge. For centuries the local lords and bishops were responsible for its upkeep, in exchange for the right to levy tolls on travellers using it to cross the river. The structure underwent a series of renovations between the 18th and 21st centuries, commissioned by the French government, that culminated in 2000 with the opening of the visitor centre (which was awesome) and on-site museum. Today it is one of France’s most popular tourist sites, attracting over a million visitors every year. 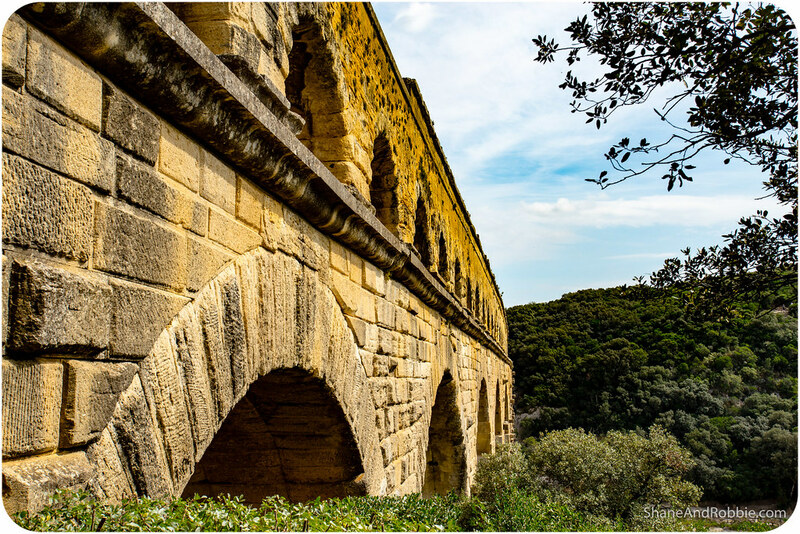 There are walks you can do through the bush around the bridge; the different walking trails take you up to various viewpoints from which we got to admire the aqueduct from every vantage point. The most impressive view of all, though, has to be from below. Standing down at river level, looking up at the immense structure, made us feel so very small indeed. Catching the bus back to Nîmes from Pont du Gard brought day to a close. There are many more Roman sites to explore in this part of France, but for now we’ve seen enough be satisfied. Tomorrow we’re moving on to see another of Languedoc-Roussillon’s epic historical cities: Carcassonne.